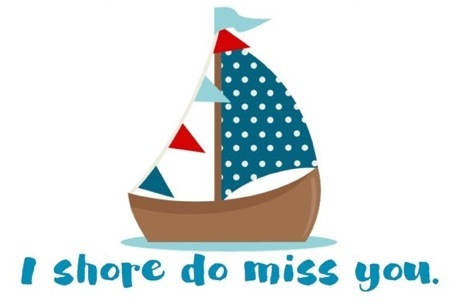 I Shore Do Miss You!! This is the perfect ’miss you’ card. Send this to your friends and you’ll be sure to get a smile!